Rice is always a good staple to have in your pantry. It is pretty versatile. You can just have it as a side or use it in a casserole. You can even make a salad with it. But, it all starts with cooking it first. Which is pretty easy. You don’t need a fancy rice cooker. Just a pan with a tight fitting lid. How long it takes to cook the rice depends on the kind you buy. Minute rice is the fastest rice to make. It is already precooked so you just have to bring it to a boil and it’s pretty much ready. Brown rice, on the other hand, takes the longest. But, it is healthier. Regular white rice, that you buy in the bag takes about twice the time as minute rice and a little less than half the time of brown rice. Cooking rice is pretty simple. And you can vary the taste by the liquid and seasonings you cook it in or anything you add in when it’s done. The basic method of cooking rice is using 2 parts liquid to 1 part rice. Start off by deciding what flavor you want to give to your rice. You can just use plain water with nothing added. Or, if you want to add a bit of flavor, add some salt and a little butter to the water before adding the rice. You can also cook the rice in chicken broth. Add different spices to the water or chicken broth. Use parsley or curry powder. Maybe lemon pepper seasoning. After deciding how you want your rice to taste, get out a medium sized saucepan and add your broth or water to it. Add any seasonings you are using. While the cooking liquid is heating up, rinse the rice in a strainer and make sure to drain it well. When the liquid is boil, add the rice quickly. Let the water come back to a boil. Turn the heat down to low and let cook undisturbed. 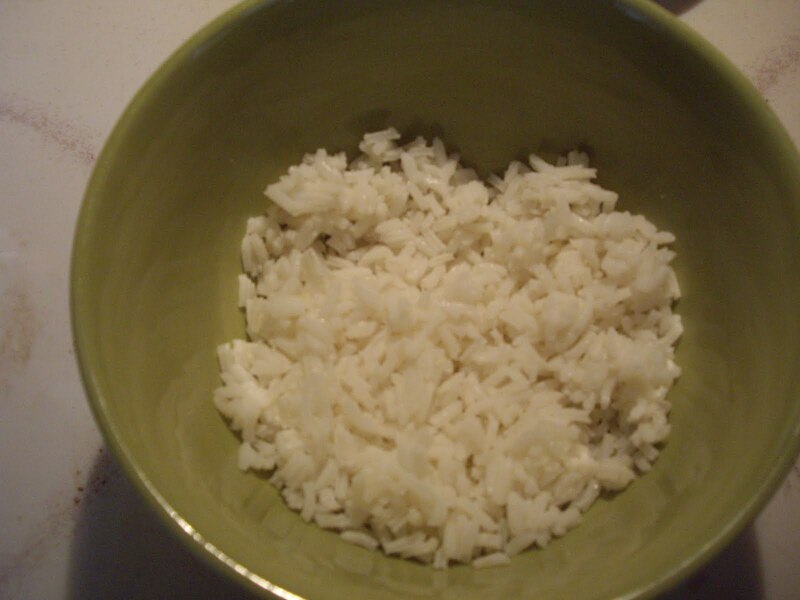 For white rice, it takes about 15 minutes. For brown rice, it takes about 40 minutes. The rice is done when the water has all absorbed into the rice. It’s time to serve, add in things such as cheese or salsa, or use it as an ingredient in another dish.